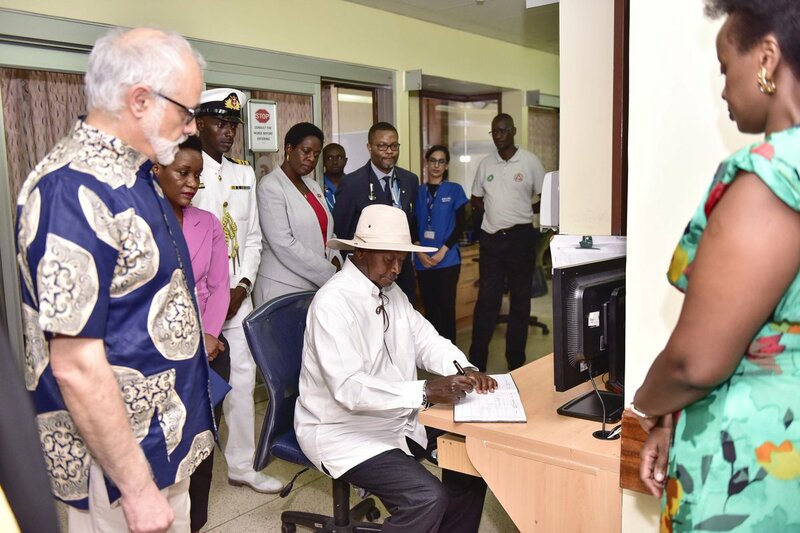 NAIROBI – President Yoweri Museveni has Friday, March 29, paid a courtesy call to frail Speaker of Parliament Rebecca Kadaga at the Aga Khan Hospital in Nairobi Kenya. Ms. Kadaga was hospitalised to Kenyan based specialized side after she was transferred to from Nakasero Hospital in Uganda. The speaker whose health conditions has remained disclosed was rushed to hospital in the worrying state shortly after arriving from a trip to New York and Morocco. Although her deputy Jacob Oulanya told MPs that his boss is getting well, some reports indicate that Ms. Kadaga suffered an arterial clot, which according to medial information, can quickly limit blood and oxygen flow into the brain. Mr. Museveni who has been in Kenya since Wednesday on a three-day state visit checked on the Speaker but remained tightlipped on her health status. A tweet from his office confirmed that Mr. Museveni visited the fail speaker [Rebecca Kadaga] and former Kenyan President Daniel Arap Moi who is also hospitalized. He wished them both quick recovery. This website has leaRnt that there are plans to transfer the speaker to Spain for specialised treatment although, we couldn’t independently verify the information as Mr Sam Obbo, the deputy head of Commination at Parliament was not available to confirm the reports.